Somewhere in the midst of normal work, normal life (if such a thing exists!) 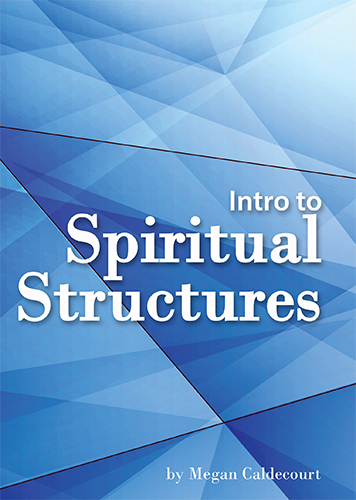 and preparing to move across the country, I have been working on the production of the album “Intro to Spiritual Structures”. This is the studio recording of the teleconferences I taught last year. On a side note, I actually recorded it three times! I just knew the first two weren’t right. And then God had me wait until after a significant land assignment where there was a huge personal shift and THEN it was the right time. “Third time’s the charm” ain’t got nuthin’ on God! Anyway, this week I have been pondering the first fruits dedication. I have a deep connection to land, so my immediate thoughts are where I could go. Should I go somewhere to climb and declare the King over all structures? A friend gave me that idea and I thought it was a great one. I also thought about special parks, and yes, even abandoned buildings. All of them seemed doable, but nothing was quite right. Until God reminded me about dreams. Structures are a significant piece of my design. This album is an introduction to the concept. It presents some foundational tools and common applications, but at the core, it is far bigger than that. It represents a tremendous facet of God’s redemptive power. For years and years I was tormented by nightmares. The primary recurring theme was a chasing dream where I was in a house or building and nothing was what it appeared. Or, rather, it changed from what it appeared. So, I would see a door and run for it, and soon as I got there, it wasn’t a door anymore. This cat and mouse game would go on until just before “it” got me and I woke terrified, my muscles tied in knots. The other common theme would be things moving on their own accord – I look and it is there, I look again and it is gone. Well, it was in the process of doing a whole truckload of inner healing and deliverance and interpreting the patterns that we came to realize I have a deep connection to structures. It was the nightmares that clued us in. The enemy did a whole lot of damage with them, but at the end of the day, God used them to show us an enduring piece of His design that has already transformed lives and land. And then the Holy Spirit brought to mind the idea to have this album dedicated by myself and others who have walked a journey of redemption with dreams. This is an unusual approach for me because the album is not about dreams, per se. I mention the nightmares as part of my personal history, but the album is about spiritual structures in other realms – our emotions, spirits, bodies, etc. So, there are some dots I can’t quite connect with my soul, but my spirit is ALL over this idea. I think there is a celebration of the fruit God brought out of the enemy’s attempts to destroy. That is a theme we can all relate to. But there is something deeper here too. Why did the enemy choose dreams as the primary way to do it? There is something more to the connection between spiritual structures and dreams that I don’t have language for yet. So, I am leaning into what I feel the Lord is directing me to do, regardless of whether or not I have all the data! And with that thought in mind, I would like to extend an invitation. If you are someone like me who has walked through a redemption story with dreams, I invite you to write to me so we can explore your being part of the dedication. I would love to have a handful of people who can pray into this album all of the fruit God wants to release, all of the redemptive power, all of the “X” factor we don’t have language for yet. This will be a bona fide Mercy approach … our brains and souls lagging far behind! If you are interested in being involved, please write to me at Megan@GoBeyondtheHorizon.com so we can explore your story and see if it is a good fit. The cutoff date for writing is the end of the day on the 4th, this coming Sunday. Looking forward to partnering with God on this one! I couldn’t go straight home from the grocery store. This was one of those nights when I needed to drive. I didn’t realize it until I found a particular song on my playlist and then I knew. Something was tired of being contained and well-behaved and I needed some speed and some wind. There is one particular road that has a flow anointing and I made a beeline for it. We will leave the details about my driving to your imagination. The road more or less begins in Fullerton and winds its way through three or four different cities. I have taken it pretty far before, but tonight I took it to the end. Along the way, my mind was wandering all over the world, as these kinds of moods are often the result of things churning and needing room to expand without life getting in the way. I think I could have driven on the road all night, but eventually it did end. Then I had to make a decision. I chose to turn right and continue the exploration, though not with quite the forcefulness I had been enjoying up until then. It didn’t take long after my turn to discover that I had stumbled upon a very upper scale part of town. The houses were huge. I drove by a couple of blocks of these mansions and then caught a glimpse of water. What? Yes, water. And then more water, and then I realized I was driving by a small lake. So, understand, I am still in the middle of the city. I never left it. God graced me with decent enough traffic flow and empty spots between cars that I could actually enjoy something of my mood, but I never left the city. And here, plopped right in the middle of it was this lake, surrounded by all of these monstrous houses. My curiosity was definitely perked. I had never seen this place before. So, I kept making right hand turns so that I could basically do a circle around the lake. And mind you, it didn’t take very long. There were little cul-de-sacs every so often for access to the houses that had this lake front property. These kinds of moods are existential in nature so God could not have timed this encounter more perfectly. By the time I got all the way around and back to the corner where I first spotted the water, the examination of the universe had taken a whole new turn. These mansions were packed in like sardines. They were all similar in design. I could smell the chemicals in the water. I was still right smack in the middle of the city. All this money, all this prestige connected to having one of those houses, and it felt fake. They aren’t actually in nature. They are in the middle of the concrete jungle, living in a huge house that looks just like their neighbors’. Their environment is completely manufactured. Yet, they seem happy with a wealthy non-reality. Not only happy, but proud. I can’t even imagine how much it would cost to have one of those houses. And that is the part that struck me the most. The sense of pride over having all of that when at the core it was all show. It felt ludicrous. Yet, it must not be to them. Nobody would spend that kind of money if they felt like it was a joke. That means they don’t see it. I think it was the desperation that grieved me so much, and left me deeply pondering. How badly we need to know that we have it “made” that this many dozens of people shelled out a whole ton of cash to have lakefront property on that little chemical pond. My drive home included some new grist for the mill that was already working overtime. Where in my life am I doing the same thing? It doesn’t have to be about houses. It could be any area of my existence. Where am I happy and proud and hollow? Or wretched, pitiful, poor, blind and naked? It was well over a decade ago when I packed all my worldly possessions in my Geo Prizm and a minivan and my Dad and I made the cross-country trek from Michigan to a foreign land called California. To a bona fide Midwesterner, it felt like falling off the edge of the earth. Which, incidentally, was something we often prayed California would do. On that long trek over, my Dad and I made a couple of sightseeing stops to break up the monotony and to prevent our bodies from fusing permanently into the shape of a car seat. The first stop we made in California was not too far from the Arizona border off of Interstate 10. It is called Joshua Tree National Park, and it straddles the Colorado and Mohave deserts. I still remember crossing the border from Arizona into California, quiet and in awe of this new life I was embracing. I felt such a special welcome from God, as if He was there waiting for me when I arrived. I had learned that the park was on Mercy land, and I wanted to check it out. My Dad and I had a wonderful time there. The best part was the climbing. There are all kinds of really cool mounds and rock formations in the park. It is a bouldering paradise. You can do a lot more than bouldering, but that’s what I like the most. The rocks are a type of granite, but the formation and erosion processes have roughened the surfaces and your shoes grip them fabulously. We went joyously from one pile to the next like a couple of kids. Over the course of the years I have gone back a couple of times. My connection to the land there was positive each time. I have gone back to do more climbing, and I have gone back just to be quiet and wait on the Lord. That land holds a special place in my heart. So, now, here I am, more than a decade later, and I am leaving California. This fall I am moving to South Carolina, with the company, Sapphire Leadership Group, which I came here to work for. It is a change of seasons, and it feels right. But there are some goodbyes I need to make before I leave. And God provided me the perfect opportunity to do one of those goodbyes this past weekend. I drove to Phoenix to visit some of my Mom’s family for the long holiday weekend. I had a whole day to make the 6 hour return trip, and it was basically the exact same route that I took ten years ago with my Dad. I knew I had to stop at Joshua Tree again. When you enter the park from Interstate 10, you drive for about twenty minutes before you get to the visitor’s center. I wasn’t quite sure what I was going to do this time, but since I was alone, I knew it wasn’t going to involve much climbing. So, I just drifted along, looking for anything that jumped out at me. When I arrived at the center, the exquisite timing of God started showing itself quite beautifully. The first timing piece was a free entrance day. I was there on a federal holiday, so maybe they do that every time, but it was a first for me! But don’t worry, I ended up supporting the park even more than if I had paid to get in. I was drawn like a magnet to these beautiful handmade clay tumblers and I realized that I didn’t have anything from the park to take to South Carolina with me. So, I bought four of them for special occasions. Cha ching! Timing piece number two. A win/win for me and the park. When I went up to pay, I asked the ranger what was around. Now, most of the time, I don’t ask. I get a map and follow my spirit. So, it was an unusual move for me to make, but it was such a God thing. The ranger pointed to a three-mile loop trail that went past an abandoned mine. The miners may not have found much there, but I just struck it rich! I have a thing with abandoned buildings. And I have wanted to go to an abandoned mine for a long time, but it has just never happened. And here it was served to me on a silver platter. And why hadn’t I heard about it before? If my Dad and I had known about it, we would have gone there lickety-split. And I had been back to the park twice since then. This was apparently one of God’s best kept secrets from me. But not anymore! He spilled the beans, and I had a feeling He knew exactly why now. The trail was easy to find and there were a good number of people there, but it wasn’t too crowded. I did a lot of reminiscing as I walked. I savored the past and all the things that had transpired since I was there the first time. Some of it was wonderful, some of it awful, some of it bittersweet. A lot of intense living and growing, crying, and laughing. God was so on with the timing of the people. I ran across quite a few at the beginning, but as I climbed higher, they thinned out. So, I could stand and listen or sit in peace or talk out loud to myself as I am apt to do when emotionally processing. Or when I have been too long at home alone. After sitting on top of one ridge for a while, I clambered down and came around a curve in the trail to the sound of tin roofing clanging in the wind. It was the mine. There were timbers strewn about and some wooden structures still intact. The mine shaft was visible, but fenced in with enough iron to survive Armageddon. It hadn’t been a huge operation, but some poor soul had expected to make a whole lot more money there than they did. I wandered around and stuck my nose into as much as I could get into and then I sat down and pondered. Then I realized why now. My attraction to abandoned buildings is layered. And weird. I know. Here I am in the middle of God’s wild creation and I want to sit by a pile of tin and rotting wood. Part of it is the mystery of the story. What happened? Can I reverse engineer it? What kinds of cool things can I find? What kind of emotions will it awaken in me? A huge part of it is the effect it has on time. The contrast of the story that was frozen in time against the story that marches ruthlessly onward causes me to feel the flow of time almost palpably. It takes me into a spiritual space that I don’t go to anywhere else. As I was sitting there, I realized that as I was revisiting a place I had been to in the past, reminiscing about the process of life since then, I was at the same time making new memories, living life in the present, as the person I am now, on the same land that I was on then. My exploring that old mine was something new, even though it was in the context of savoring the old. God brought me there now because He knew what it would do to my connection to time. He knew what happens to me when I am around abandoned stuff like that. He made me weird. He brought me to the mine because it would tie the two seasons together. There, in that place where I feel time so powerfully, I could reach into the past and unite it with the present and the future. On the Mercy land that marked the beginning of it all, I could ask Him to take all these individual stories and make them one story moving into the future. He cared enough about the process that He kept that mine a secret from me for over a decade, until just the moment when He brought me back to the same land to step into the flow of time, to tie together the past and the future and to launch me into yet another new season of life. I am still in awe and moved to tears by His planning, His care in protecting the process, and the masterfully elegant way in which He fulfilled it. He is the God of our individuality and He is the God who executes with finesse. It was our last day in Ireland. We would be spending most of it driving back to Dublin, where we were planning to stay with the same friends that we met for the first time when we arrived. We had a lot of things to talk about and savor, and since we are both big into nature, we usually ended up on subjects involving trees, horses, and birds. Three of our favorite topics. The long chats were marked by pockets of silence when we were both lost in our own thoughts and worlds. We made one stop along the way, at a castle ruins called The Rock of Cashel. The ruins are one of the things I love about Ireland, or any country that has enough history to have ruins. In Ireland, however, there is something magical about them. When I am in a ruins there is something mysterious that happens to time. The stark contrast between time that has stopped and time that is still moving causes me to feel the force of it more strongly, and I am gripped with fascination about the story. I could spend a lot of time in old ruins and abandoned buildings. And I got my wish at the Rock of Cashel, thanks to an eternally clueless tourist. Joanna was trying to get a picture of a view across the vestibule and this tourist planted himself at other end and simply would not budge. I looked in from time to time and she was still crouched at her end, waiting, while Mr. Tourist stood there and looked touristy. I never did figure out what he was actually doing, other than disrupting a perfectly good picture. I offered to throw rocks at him, but Joanna wouldn’t let me. Our plan was to arrive at the house around dinner time, knowing that no-one would be there to greet us. They had given us a set of keys before we left, so apparently we did a good job of convincing our new friends that we were the harmless kinds of nuts. I would be flying out early the next morning, but Joanna decided to stay a few more days and take a ferry over to the Isle of Man. Her ferry was going to leave late that night. We arrived well at the house and even found the little driveway on the first try. I had only been there a couple of days in the beginning, mostly in a sleep deprived stupor, but it still felt like coming home. We did a little shopping for some grub for dinner and then settled in for a few hours until we needed to leave for the docks. We left the house around 10:30 PM. Not the best hour for the two of us to be driving around downtown Dublin, but we found the docks with minimal fuss. Once we got there, I decided I would rather have downtown Dublin. The docks may have been perfectly innocent during the day, but they were rather ominous at night. Too many looming ships and stacks of containers and shadowy places for thugs to hide. Was I going to leave Joanna there all by herself? I don’t think so! Well, she wasn’t very impressed by my concerns so we kept driving to the terminal for her ferry. I was vastly relieved to see that at her ferry line there was a nice lighted terminal and waiting room with other passengers and vending machines. There is something comforting about vending machines. So, I pulled into the drop-off area and we said our goodbyes. It was the end of our travels together. We had done it. We two nuts had not only survived the trip, we developed a friendship and had many rich experiences along the way. God had given so much on this trip. It was not always where I expected and definitely not always what I expected. But encounter Him we did – richly, deeply, overwhelmingly so. This Mercy was about as overloaded as any one person can be. I drove back to the house – successfully and in one piece, I might add! One last night in Dublin. I was ending where we began. We came full circle. Nothing could have been more fitting for an adventure in Ireland. And so is the end … of this blog … and the beginning of all that lies beyond! We left early enough for our hike to the stone circles that even with the unexpected extension we still had plenty of daylight left. We decided that we would drive to the end of the peninsula and take the cable car to Dorsey Island. But first, there were important things to attend to, such as feeding my starving self. So, we stopped at the little café in town and I had a delicious rhubarb crumble dessert and a lemon fizzy drink. The drive to the cable car station was long, but took us through some small coastal village and through more of the winding Irish countryside on very narrow roads. Everyone in Ireland seems so calm and I don’t know how they manage it. When we got there, I had to wrench Joanna’s fingers off the dashboard because she had been gripping it so hard. Let me tell you about the Dorsey Island cable car. It runs on cables that were strung across the turbulent Dorsey Sound sometime in the last century. It looked like it could have been run by a hand crank in the beginning. The car itself was an odd-shaped box with a wooden sliding door and copious amounts of ancient grease on the wheels above. The cables went into a building with a small window where the cable operator sat and peered out across the sound. I was beginning to think that Devil’s Ladder was the safer bet. But we were there, and well, there were other crazies standing in line to take a ride across, so we could all jump off the cliff together. Our turn came and we climbed in. There were two sets of wooden benches lining the sides of the car. There were also signs posted about the maximum persons allowed and we were half a person over. But it was too late, the door was closed and we were off with a bounce, a lurch, and a prayer. Dorsey Sound seemed a lot wider from up there. After a few minutes had passed and I relaxed a bit about going to a watery grave, I started to enjoy the ride. I especially enjoyed the opposite shore getting closer. That was the best part. We disembarked with a sense of relief and accomplishment and set out to explore what we could of the island before we had to go back. We were late enough in the day that we only had about an hour or we would get stuck there for two hours while the cable car operator had his dinner break. Apparently there aren’t too many people who want to spend their lives running an antiquated cable car, so there was no one to take over for him. Since the sky was threatening to dump on us again, I opted for returning sooner, rather than later. So, I sent Joanna off to take some pictures and I went back to stand in line with all the other shivering crazies who had braved the cable car and the weather. Joanna got some good pictures, though. And we had the status of surviving the Dorsey Island cable car. So, there’s that. On the way back to the B&B, we decided to stop at a local village pub because someone was hungry again. Turns out that driving in the Irish countryside and taking death-defying cable rides are good for one’s appetite. The pub we picked was perfect. It was truly a local pub, not a tourist pit stop. So, we got to enjoy watching the interaction between the regulars. Joanna was even favored by their little dog, who jumped up on her bench seat and made himself quite comfortable. When it came time to order, I got fish and chips. Joanna ordered mussels. They were even locally grown. How do you grow a mussel? Well, I learned. At the right time of the year you put out lines with buoys and all the mussel babies attach to the line and hang out there and grow until one day someone comes along and serves them up to Joanna for dinner. I never had mussels before, and I was just fresh off the kipper experiment. But I decided to try anyway. All I can say is that they were weird. Not fishy, but not anything else I could describe either. Joanna had a whole big bowl of them and she dug away with a good will. I don’t think I need to eat them again, ever. After dinner we headed to the B&B for our last night before heading back to Dublin. It felt like the morning hike had been a long time ago, but the impact of the experience was still deeply resonating. I will always have special memories of the south of Ireland, cable cars, mussels and all! After a peaceful night’s sleep, entirely free of nightmares about Devil’s Ladder, I awoke to a lovely day for a hike. That was a very good thing, since we intended to do just exactly that. This was the day we were going to do the Cashelkeetly hike, which would take us to some of the well-known stone circles in that area. It would also take us through some of the rolling, stony Irish hills that I so dearly love and into the domain of many a fluffy ball of sheep. Our new B&B hostess fed us a hearty Irish breakfast and then offered to go with us to a parking spot in town and then drive us to the beginning of the trail so that we could walk back to the car. Joanna and I were quite pleased with that arrangement, so off we went. When we arrived at the designated parking spot we gathered up our gear and hopped in her car. We drove along for a bit, as she chattered away. And she kept driving. And driving. And driving, for what seemed like an eternity. I was beginning to wonder if we would run out of country. But eventually we got to the signpost for the trail, which literally went over the fence into a sheep pasture. As we were climbing out of the car, she gave us our instructions on how to get back to where we parked, which went something like this, “turn left and go down the path a ways and turn right and then veer sideways a bit and then turn again, and walk a bit longer and then veer the other way and you’ll be there.” I looked bewildered. Joanna looked serene as always. We clambered over the fence and began our adventure. Most of the hike was getting to the stone circles. They were the objective, but I sure enjoyed the process of getting there. Those hills speak to me. I love the combination of the lush green grasses and the stones and boulders dotting the landscape. Many times I stopped for a few minutes to absorb whatever ethereal feelings were floating by. I could have walked into the side of one of those hills and disappeared into another world. Usually a disgruntled cotton ball would jerk me back to reality with a bleat of protest at my presence. Apparently the sheep thought the field was theirs. Their little white fluffs on the distant hills did make for nice scenery. Eventually, and thankfully without any sheep butting drama, we reached the stone circles. There were two circles. One was larger and higher up on the trail. The second was quite a bit smaller. Joanna and I wandered around them for a few minutes, just getting a feeling for what was there. Were they defiled? Yep. No doubt about that. But the question of “why there?” was still at the top of my mind. I was more drawn to the first circle, so I stood there and pondered for a few minutes. There was one stone that was much larger than the others and seemed to be facing a certain direction. Well, one thing that I learned from a very wise fellow land cleanser is that the key may have nothing to do with the monument itself. The key may be where the monument is facing, or pointing, or looking. So, I pulled out my compass to see which direction the stone was pointing. It was north. Joanna was busy giving the other stone circle the what-fers about who is the one true God, so I decided to leave her to it and go north. This meant crossing the trail perpendicularly and walking across the field towards the bay. I didn’t immediately find another piece of land or a marker that felt significant. So, I walked some more. Still nothing, though I wanted to keep walking. By this time Joanna had wandered after me. I walked down a little valley and to a rise where I could see the water and some houses around it and the land extending beyond that. I still wanted to keep walking. It was then that I realized that nothing in my view was what I was walking towards. I could have walked and walked and walked north forever. I wasn’t looking for a marker or a portal or anything else. I was looking for the North. I still am not quite sure what to call the deposit there in the land that awakened a new kind of desire for the Kingdom of God in me, but that was something very special. A kind of thin place I hadn’t expected to find. God made it clear that I wasn’t to forget what I felt there. I might not be on the land, but the longing will go with me everywhere and will grow. And maybe, sometime, someday, I might even have better language for it! Well, I stood there for a while and savored and pondered and wondered. But eventually, we had to muster ourselves and keep walking and so we moved on. Our hiking took us by a forest that we simply couldn’t resist. So, we ducked inside and promptly found more muck than I thought was possible outside of the tabloids. Joanna commented that she rather liked my verbal expressive tendencies. She could tell by my noises where the especially soft spots were. But the trees were beautiful and there was a little waterfall to boot. The trail took us out to a little parking lot and we thought we had reached the end. So, we endeavored to follow our landlady’s instructions. We walked up the road to the left for a while. That didn’t feel right. Then we walked up the road to the right for a while. That didn’t feel right either. We actually did have a map with us so we pulled it out and looked at the trail. Eventually we decided that we popped out too soon, and we were supposed to follow it quite a ways further. I was beginning to have doubts about the motives of our landlady. So, we got back on the main trail and trudged on. I began to think about my provisions. Did I have enough food and water to last for several days? But wait. Ireland is a small country, right? How long can one really be lost? I was beginning to rethink Devil’s Ladder. Maybe that would have been the better choice after all. Well, it turns out that the landlady was right and she wasn’t out to kill a couple of tourists to feed to the sheep. Or at least one tourist. I’d like to see them wear Joanna out. After another mile or so of winding through the pasture, we got a glimpse of the road we wanted to be on and knew we were heading in the right direction. And sure enough, the directions were right, though I sure am glad Joanna knew how to decipher them. If it had been left up to me, we’d still be wandering! The B&B we were staying at was a bit more formal, and we all ate breakfast at the same time. That was fun because after the first day of being there, we had some stories to share. Joanna and I refrained from embellishing our cliff walking adventures too much, but I will admit that we were pretty happy that we went and conquered on our own. The night before I had chosen the goat cheese scramble for my breakfast, but I didn’t know what Joanna had chosen. By the way, this particular hostess was an angel. I asked her the first morning we were there if I could have a glass of ice for my Coke. She looked at me a bit squinty-eyed, but I have gotten a whole lot worse, especially in mainland Europe. And then if they DO actually agree to bring me ice, it is two cubes sitting forlornly at the bottom of the glass. She brought me a FULL glass of ice. She racked up a lot of points for that one. Well, when I walked into the breakfast room the second morning, the full glass of ice was already sitting at my spot. Wondrous woman! So, she starts serving the different guests, including me, and then comes out with a plate with two whole fish on it. Whole as in head and fins and everything still attached. She sets the plate in front of Joanna with a “Bon Appétit!” and I am thinking, “Actually, I just lost mine.” I knew kippers existed, in theory. I had never met one in person, let alone for breakfast. I looked at Joanna with a whole new level of respect. She munched away for a few minutes and then asked me if I wanted to try a bite. In my head I am thinking, “I would rather fall off the Cliffs of Moher”, but what came out of my mouth was, “sure, why not!” I took the smallest piece that qualified as a bite and in it went. Everyone else was watching me. I have to tell you something about my face. It has a mind of its own. I would lose everything in the first poker game I ever tried to play. Well, I chewed down that bite of kipper and said, “It tastes like FISH.” Apparently my face did something quite amusing when I said that because it just tickled everyone to death. I like fish when it tastes like tartar sauce. Kippers are about as fishy a fish as you can possibly imagine. I left the rest to Joanna and reveled in my goat cheese scramble. That day was going to be our big driving day. We were on the west coast of Ireland, just a bit south of where we began in Dublin. We needed to drive all the way down to the Dingle Peninsula, where we would stay that night. So, we basically planned for a long day in the car. But as everyone was getting up from breakfast and talking about their plans, we overheard a comment about a sheep farm nearby that gave sheep herding demonstrations. Well, that sounded quite interesting, especially to Joanna. So, we decided to take a detour and enjoy the show. And it was well worth it! We even got the full Irish effect. It rained. Hard. They had thoughtfully provided a covered area for us to stay under while we watched. It didn’t seem to bother the dogs one iota. They lived and breathed this job. It was such a joy to watch their boundless energy and eagerness to do the job. In fact, the sheep herder had to get after them a few times because two would respond to the same command! It was well worth the detour. And I also walked out of their gift shop with a beautiful knee-length knit wool jacket that I will wear in Southern California, even if I die of heat stroke. The trip down south was long, but beautiful. We drove through a national wildlife preserve that just begged you to get out every half mile and go for a hike in the forests and hills. I could have easily spent a few days just in that area. Someday I hope to go back and do some of that hiking because I just KNOW there are some thin places waiting to be discovered. But on we drove. Let me tell you something about a GPS. They like to take you the shortest route. In the city or on the freeway, that strategy works quite well. But when you are in rural Ireland, the shortest route could be cutting across a sheep pasture, and that’s about what we did. We drove on so many side roads and byways and nowhere ways that I started to wonder if my GPS was messing with us and laughing its silly silicone head off. But eventually we bumped our way out of a two-track forest trail and saw the light – in the B&B window. I had to apologize to the GPS. So, we made it in one piece to our lovely mountain view home for the next two nights. After we got our luggage inside and were settling in, Joanna made an off-hand comment. She said that she decided it wouldn’t be the right time to try Devil’s Ladder on this trip. I played it cool and said, “Ok!” in the most nonchalant manner I could muster. But, boy, did I sleep well that night! Why Must God Remain Mysterious?